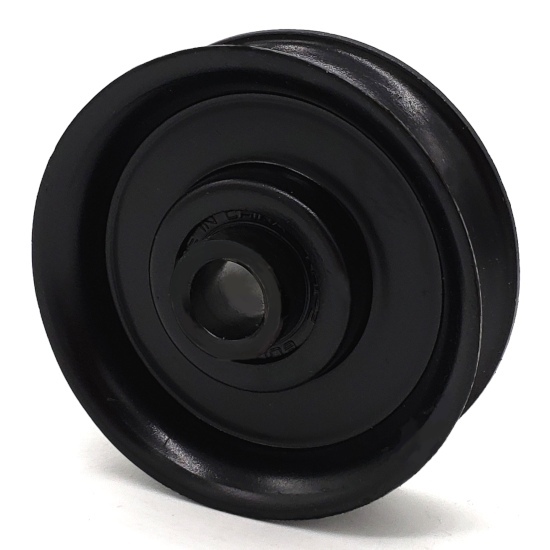 This Rope Idler Pulley works both as an OEM replacement and as a general purpose pulley for power transmission such as compressors, industrial fans, lawn mowers, snowblowers, and electric motors. It will not require any bore adapter or bushing for use. 397214 features a light duty radial sealed double-row bearing, and will have no need for a bushing. This part is Painted Black to prevent rusting. 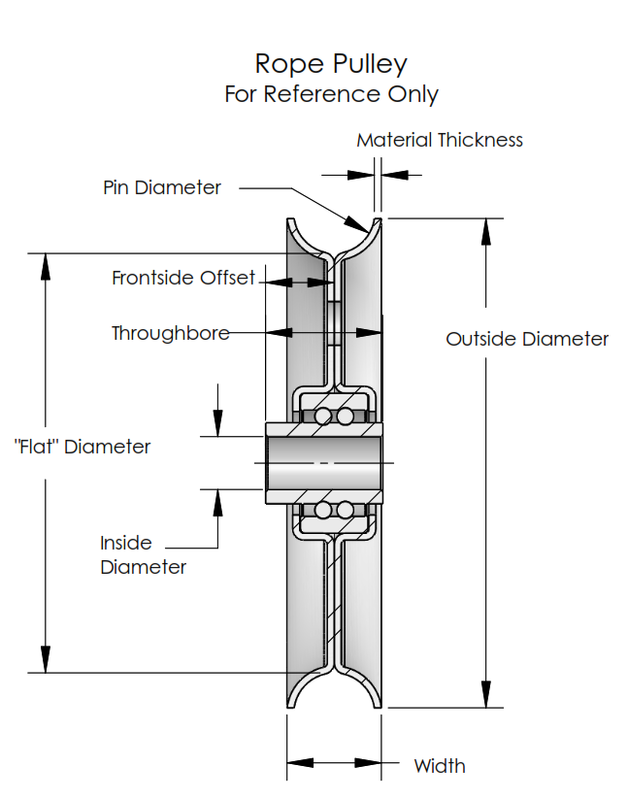 Belts that fit: Shown as the diameter of the groove. Ropes or wires will fit so long as they have a smaller diameter than the groove of the pulley.